HK College Auditorium, Ashram Road, Ahmedabad. 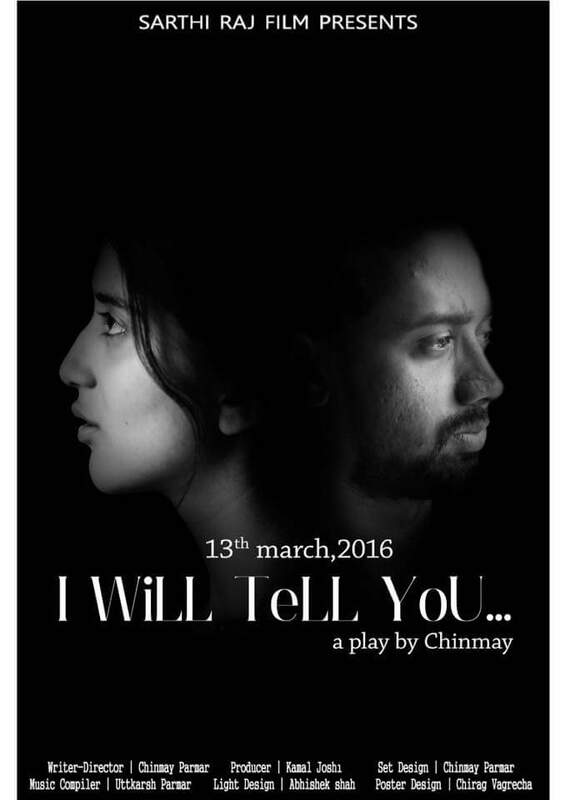 Love is selfless at times but at other times it might involve selfish interests.’I Will Tell You’,a play chinmay is a story about two people in love struggling to define their relationship in a society that just doesn’t seem to think beyond. the play,an experimenatl tries to question the existence and validation of Spirituality.